Difficulty Notes: One short easy / moderate scrambling step and a steep, packed slope to the col with Whyte. Make sure the route is free of snow before attempting. If you’ve read my Cockscomb Mountain trip report, you should not be surprised that it’s been weeks since my last summit! I jest. Although my mountain mojo was a bit depleted in June / July, this isn’t the real reason I haven’t summitted a mountain in the last 7 weeks. There are two reasons for the break. The first was a three week holiday in July which saw me and my son do an epic 16 day canoe trip in Woodland Caribou Provincial Park in Ontario, Canada, followed by a week camping with family in Nutimik Lake, Manitoba. The second reason was stairs and a laundry basket conspiring to break me. They didn’t succeed, but they seriously hurt my right foot – only two weeks before my canoe trip!! 🙁 I am still seriously amazed that the trip turned out so well, considering how buggered my foot was when I started it. Obviously I had X-rays done right away and thankfully the heel / foot / leg wasn’t broken, but it was definitely damaged and for the first month I could barely walk on it. On returning home to YYC the foot was feeling quite a bit better and I decided on the August long weekend that it was time to test it out on some easy objectives. The first objective I chose was one that’s been on my radar for quite a few years already. 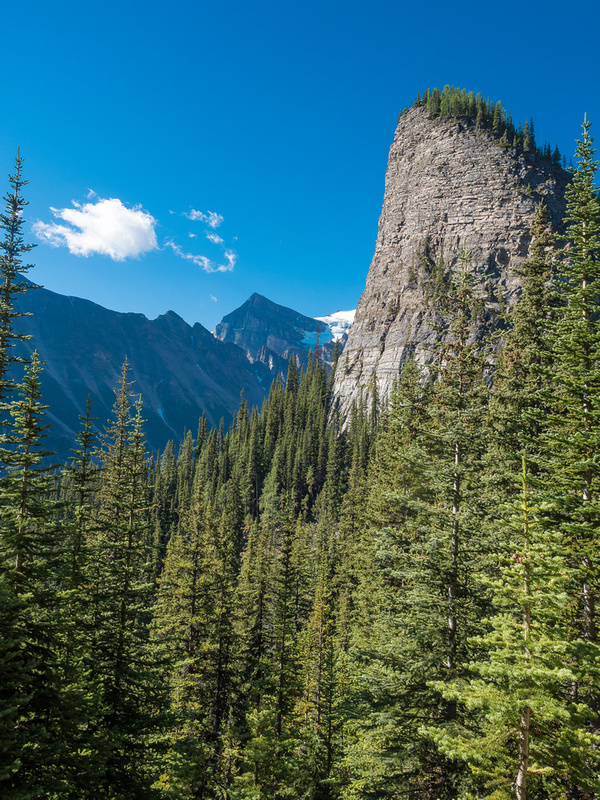 Devil’s Thumb, in Lake Louise promised a short outing with great views in one of the most picturesque tourist havens in the world – a perfect place to test my bum foot. I left Calgary at what I thought was a reasonable time (07:00) on Friday morning, the day before the August long weekend. 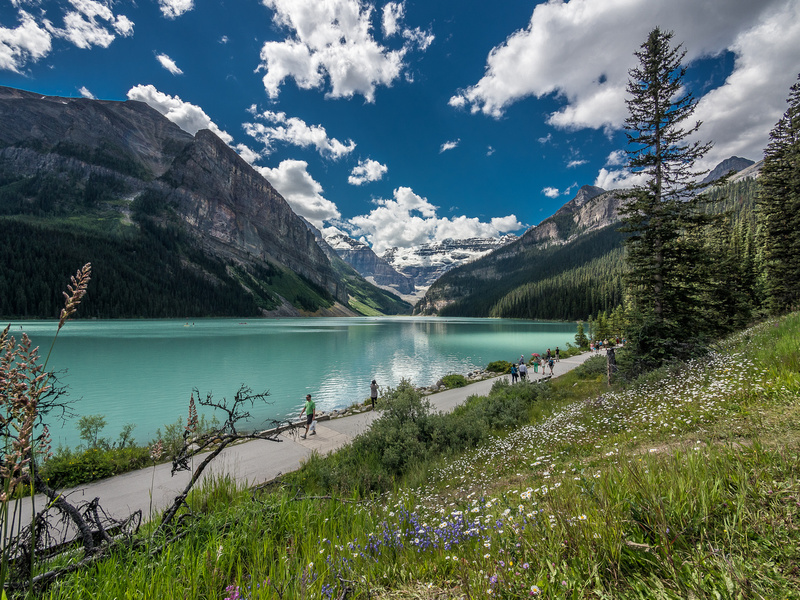 It turns out that Banff is having an extremely busy 2016, thanks to a low CAD and the Lake Louise parking lot was already getting full at 09:00! Oh well. 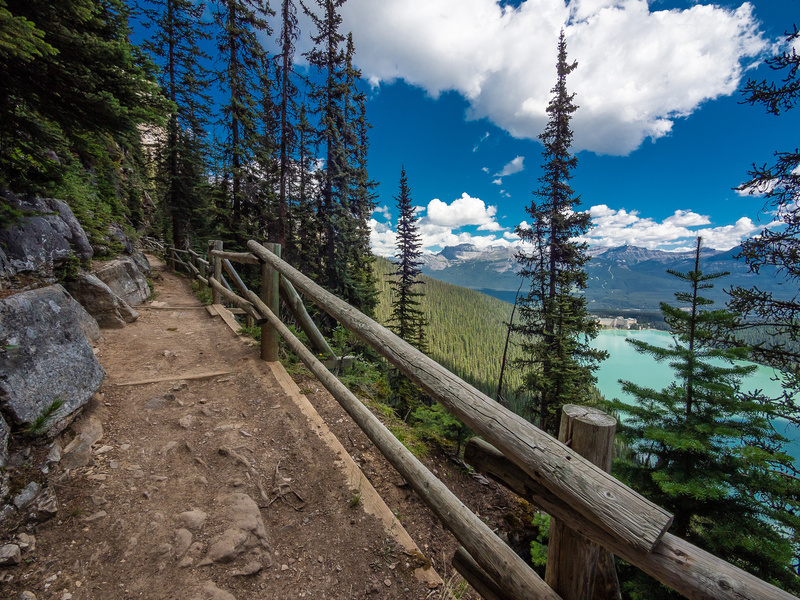 I managed to park and started quickly up the path to Lake Agnes, passing hordes of tourists on the way. 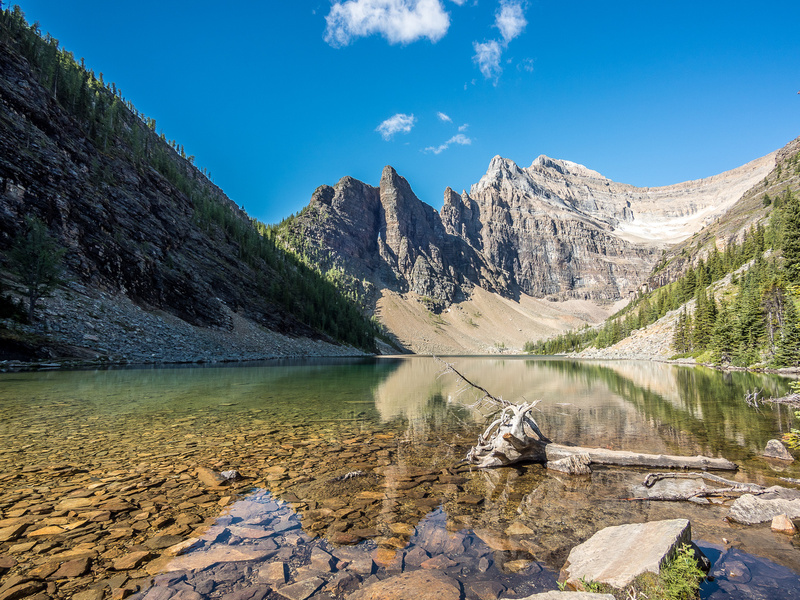 The morning was gorgeous and cool and within an hour I was at the lovely Lake Agnes, surveying the rest of my route up to the base of the Devil’s Thumb. My foot was behaving, even though I could definitely still feel the injury. 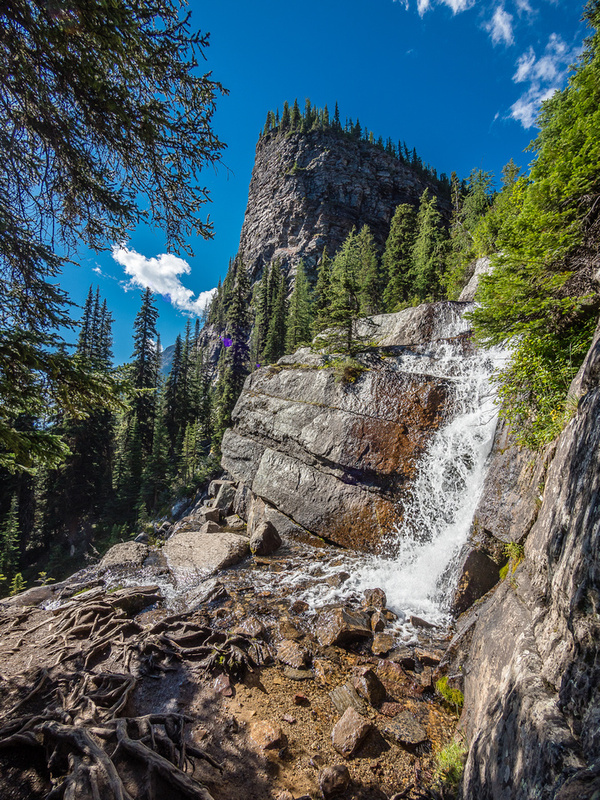 The Beehive and a waterfall coming down from Lake Agnes, just before turning up stairs to the lake. 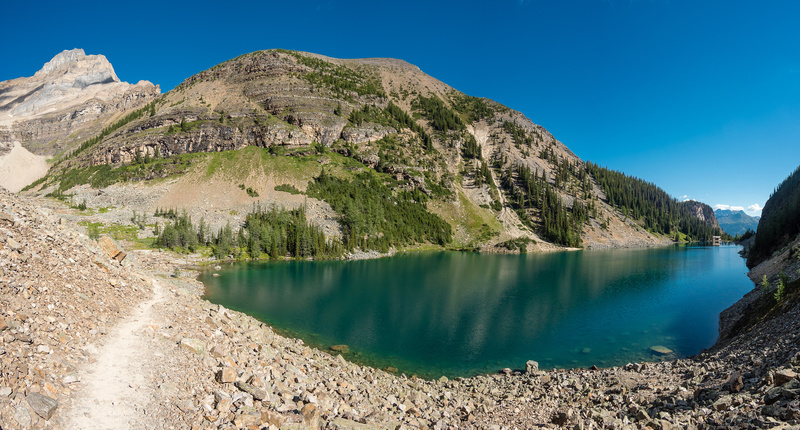 I rounded the lake on the Beehive trail, which I then followed up to the Beehive / Devil’s Thumb col. It’s a great idea to combine these two minor objectives if you can, since they’re so close. When I did the Beehive with Hanneke back in September 2010, we weren’t in the mood to add it to our day and I knew I’d be back some day, so we didn’t bother. 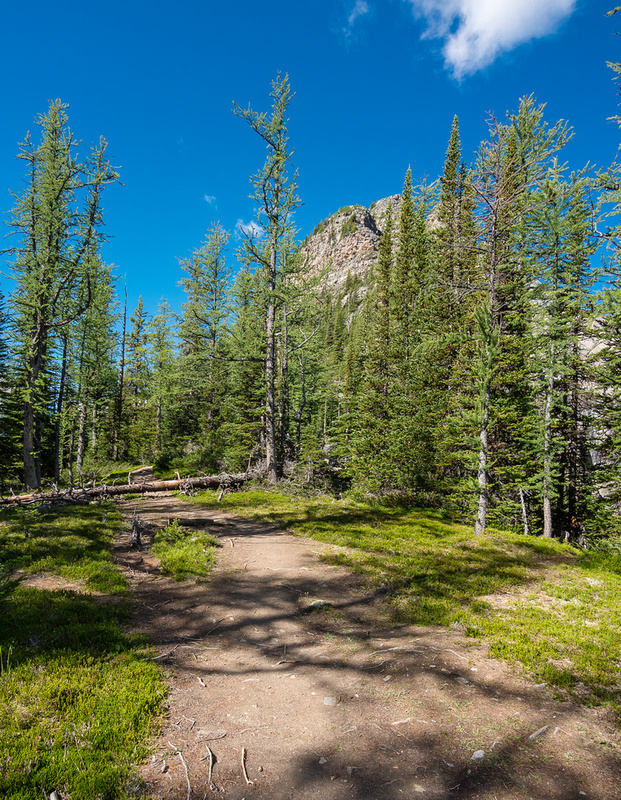 A tree lay across the obvious trail leading to the Devil’s Thumb, probably to block folks who mistakenly think that’s the Beehive, but it didn’t slow me down as I deftly stepped over it and continued up the obvious worn path to the crux. The crux had three packs laying at its base when I was there – obviously some folks ahead of me didn’t feel comfortable taking their packs up it. I found the crux to be easy / moderate scrambling but fairly short. Right after the crux I met the three pack owners who had presumably made the summit – I’m not sure as we didn’t say more than “Hi” before continuing on our separate ways. Serene Lake Agnes with Devil’s Thumb (L) and Whyte (C) in the distance. It’s the views in front of me that are really impressive on this part of the hike! Aberdeen, The Mitre, Lefroy and Victoria (L to R) visible here. 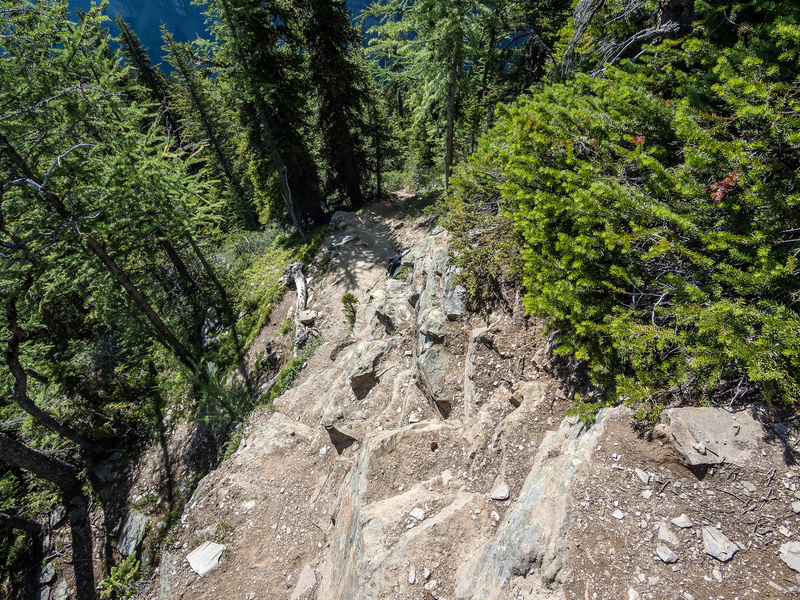 The traverse from the top of the crux to the steep gully leading to the Whyte / DT col was spectacular high line hiking! The views towards Haddo / Aberdeen, The Mitre, Lefroy and Victoria were mind blowing. IMHO, this section alone is worth the short crux, never mind the summit. 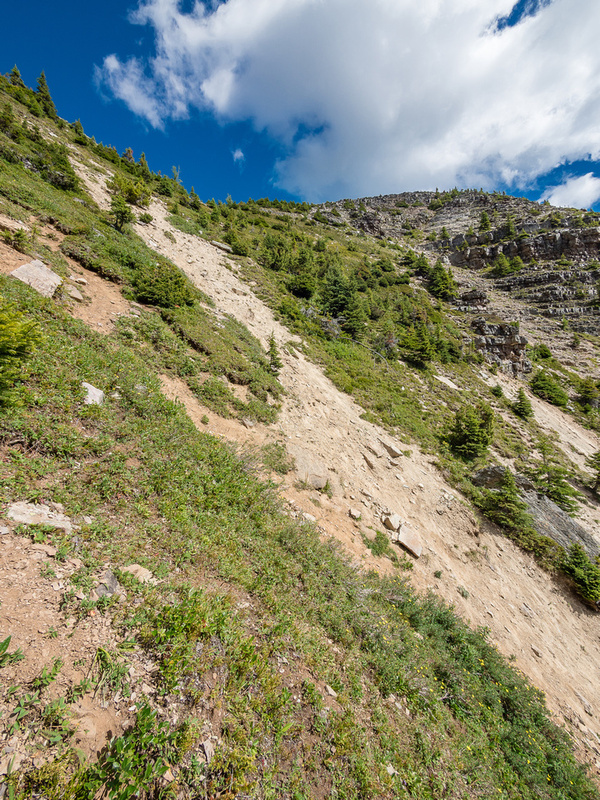 After completing the sublime traverse I came to the steep gully leading to the Whyte / DT col. The best footing up this steep, dirt gully can be found on climber’s left where there’s still some grass / shrubs holding the slope together. Mainly due to foot traffic, the center and climber’s right of the gully are a bit slick and I didn’t appreciate the footing in my flexible hiking boots on ascent. 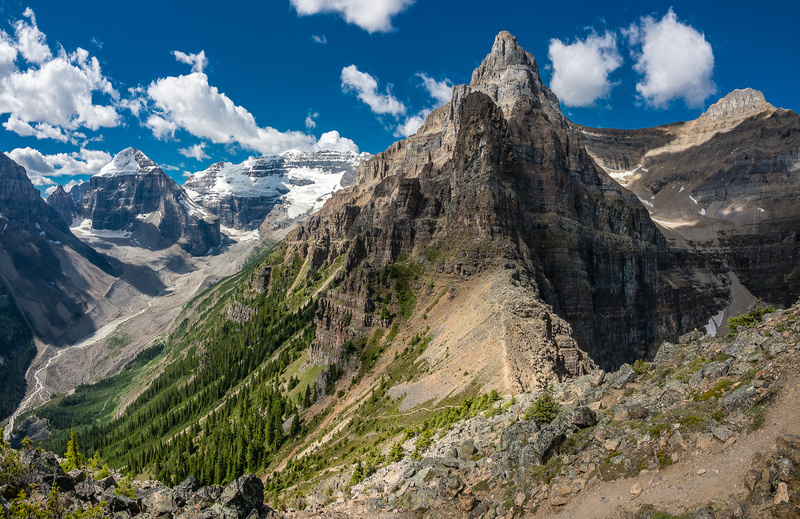 Stunning views of St. Piran, Little Beehive, Lake Agnes, Big Beehive, Lake Louise and Mount Fairview from just under the summit of Devil’s Thumb. The views only improved as I crested the col and took in Whyte, Niblock and Piran from there. 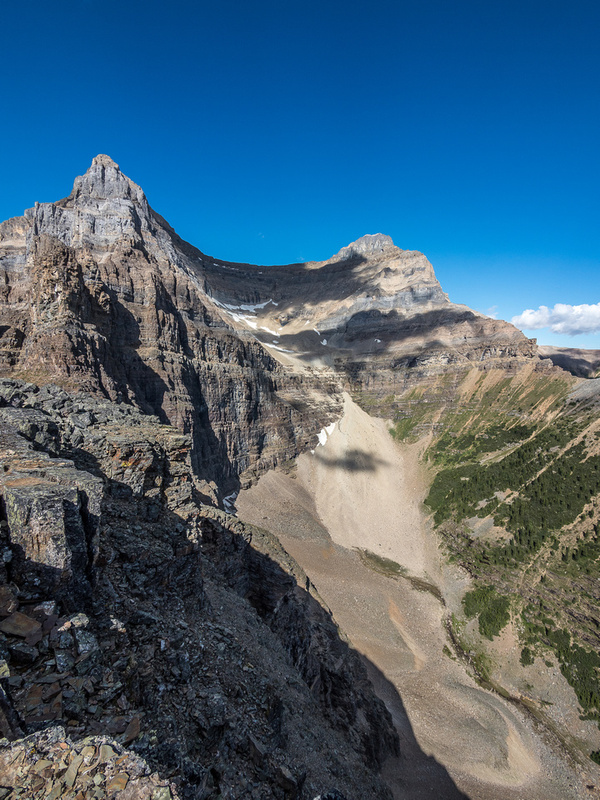 A quick jaunt up blocky terrain, going climber’s right at any obstacles, and I was on the summit of Devil’s Thumb with an incredible Lake Louise panorama stretched out before me. 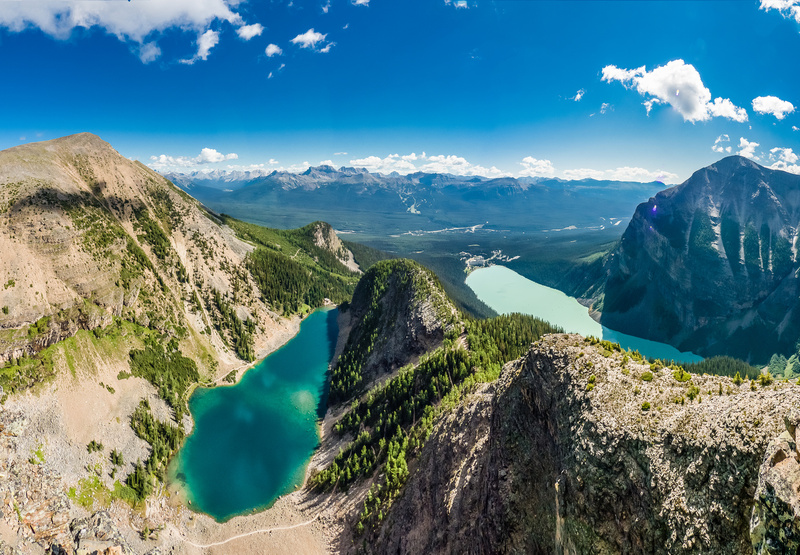 It was worth the easy scrambling to get to the eastern nose of the summit block for some great views of both Lake Agnes and Lake Louise, along with both the small and big Beehives. Beware of kicking rocks down on folks ascending from Lake Agnes if you venture here yourself as the terrain is fairly loose on the nose of the summit block. 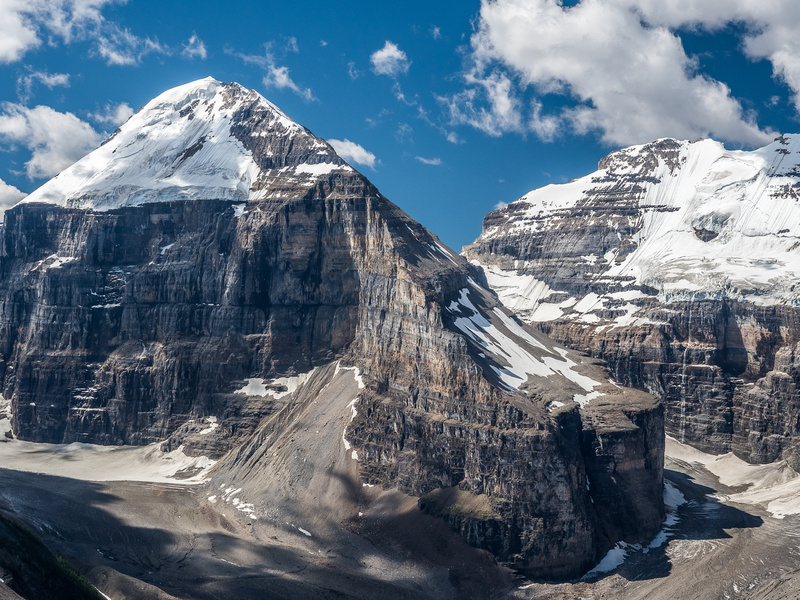 I have so many good memories of many of the Lake Louise peaks. I spent almost 30 minutes at the summit, all by myself, before reluctantly starting back down. I wanted to beat the long weekend hordes and get home on time. So far my ankle was behaving better than expected. 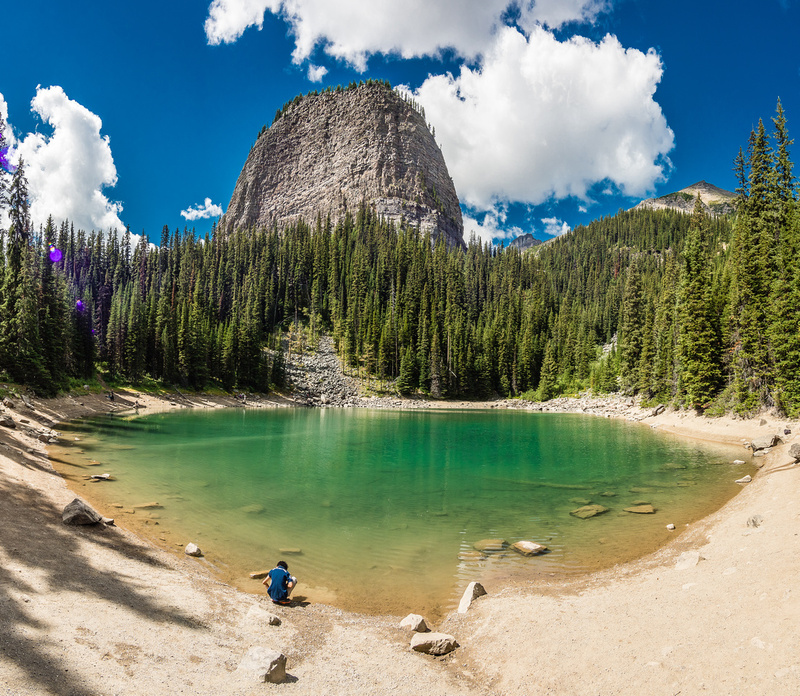 Mirror Lake – trust me, it was a LOT busier here than the photo implies! The descent went well – although my heel obviously hurt more than on the way up. 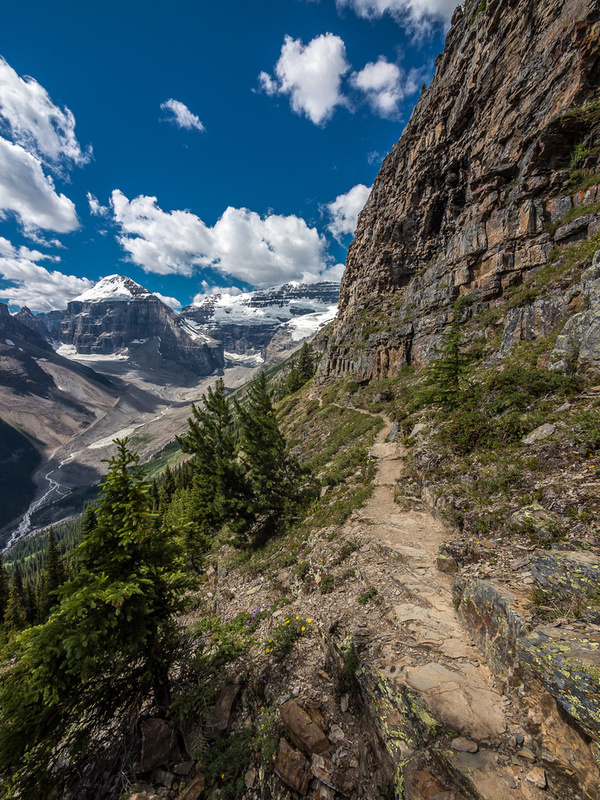 I did a slight variation just for fun, taking the switchbacks down to the Plain of Six Glaciers trail before short-cutting back to Mirror Lake and retracing my morning route to the parking lot – this time literally wading through masses of people! Overall I was very impressed with the views on this short excursion. I can highly recommend it for people who don’t mind steep slopes and some minor exposure. 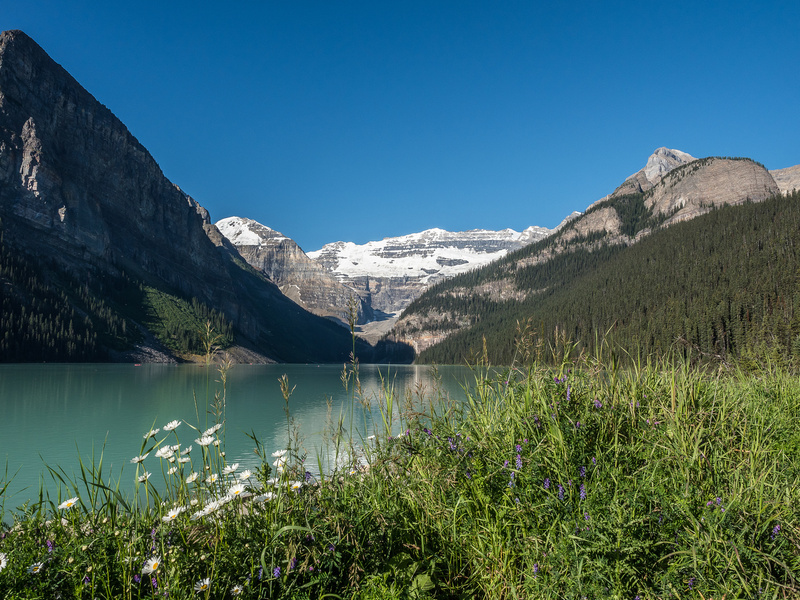 The iconic view of Lake Louise with Lefroy, Victoria, Devil's Thumb, Whyte and the Beehive (L to R) visible. 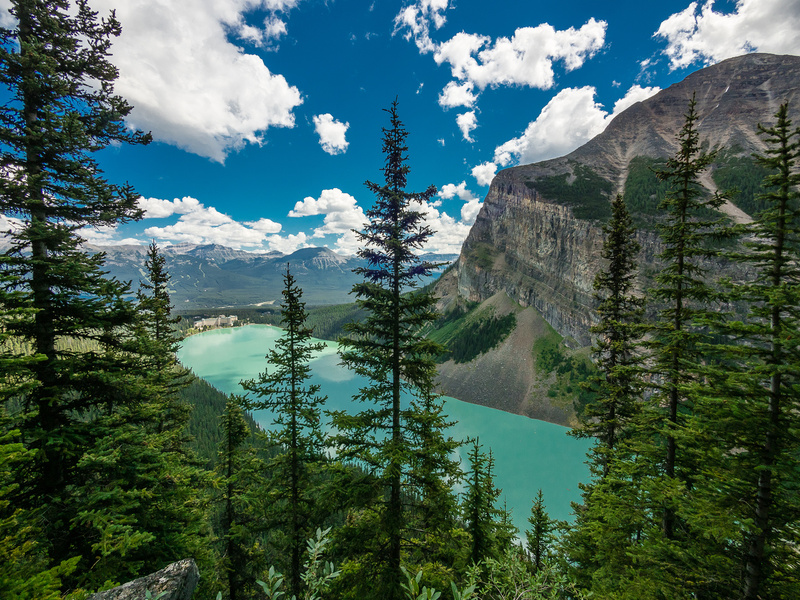 Looking across Lake Louise from the Lake Agnes trail towards Mount Fairview. 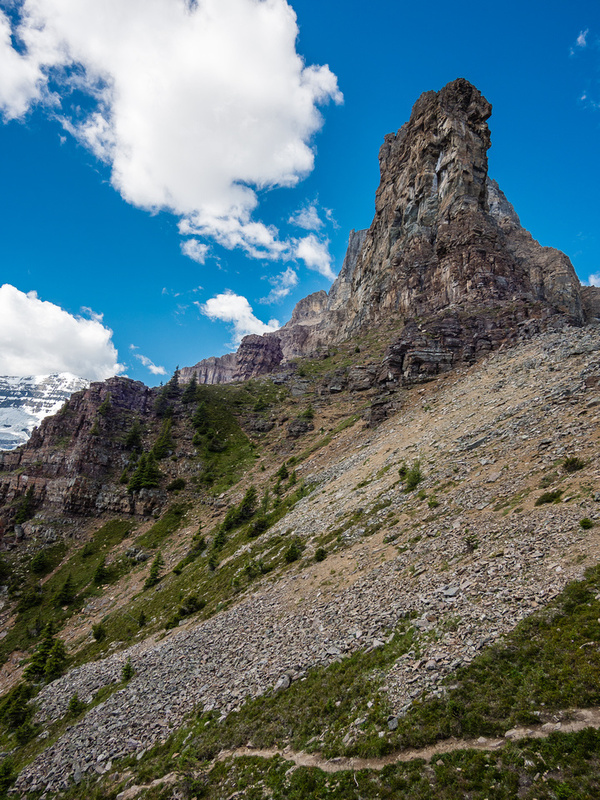 The Beehive is impressive from the trail - when you can see it. 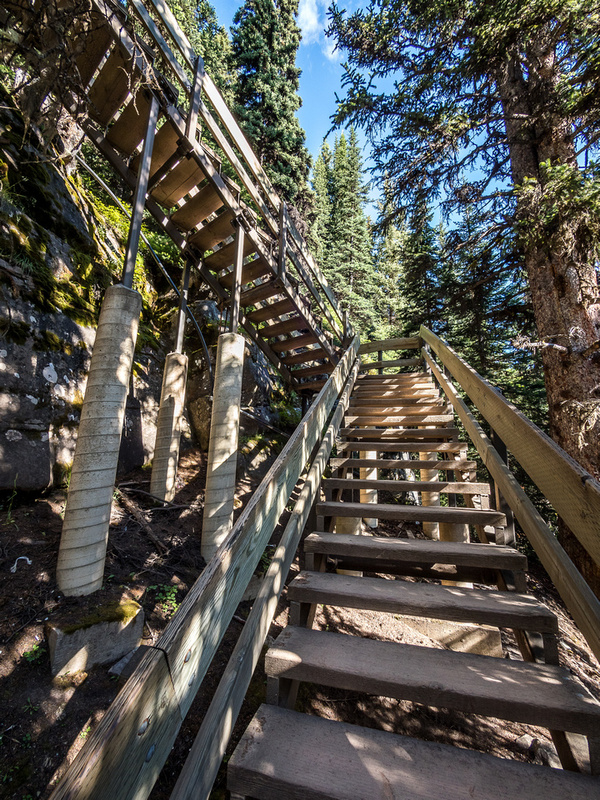 Stairs lead up steep cliffs just below Lake Agnes. 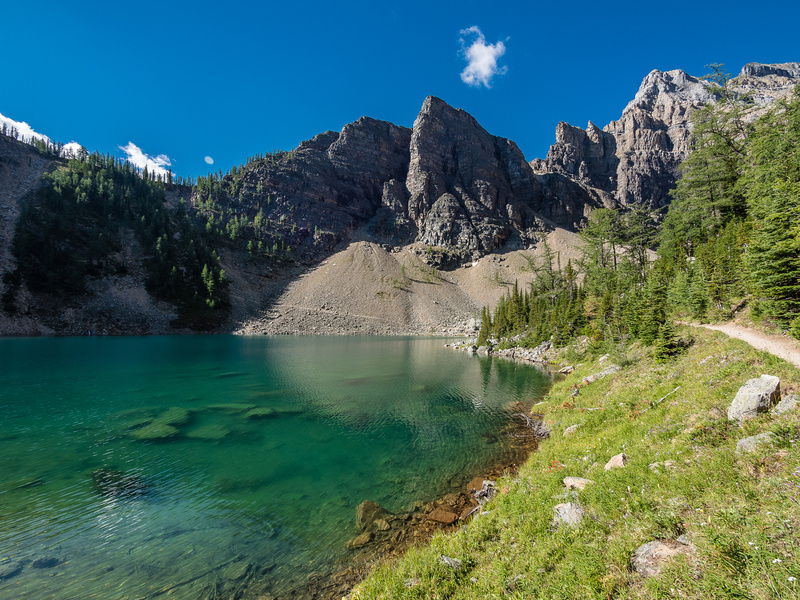 Serene Lake Agnes with Devil's Thumb (L) and Whyte (C) in the distance. 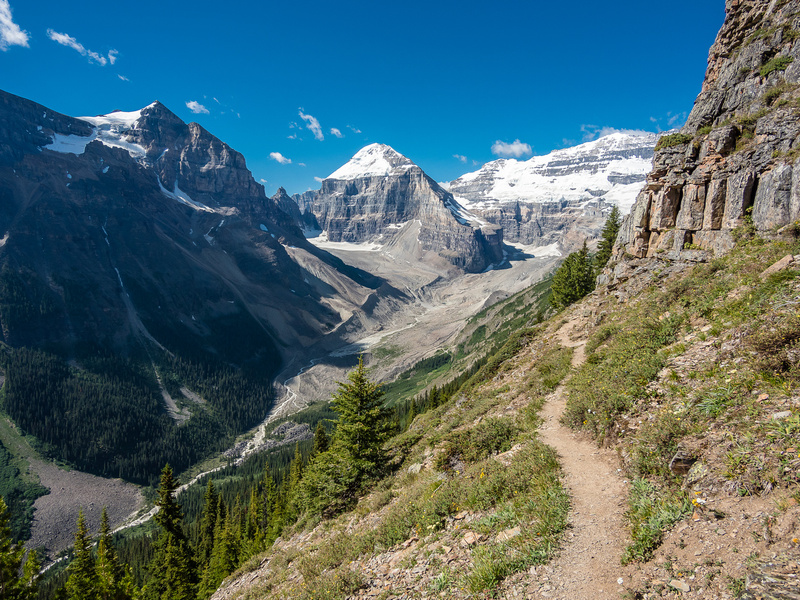 The trail around Lake Agnes is very well traveled and leads up scree to the Beehive col visible at center left. 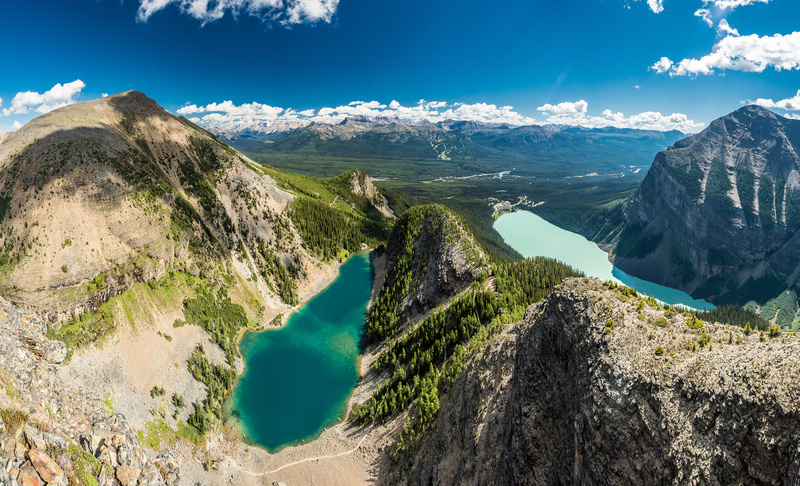 Looking back down Lake Agnes (teahouse and Little Beehive at right) with Niblock at upper left and St. Piran at center. 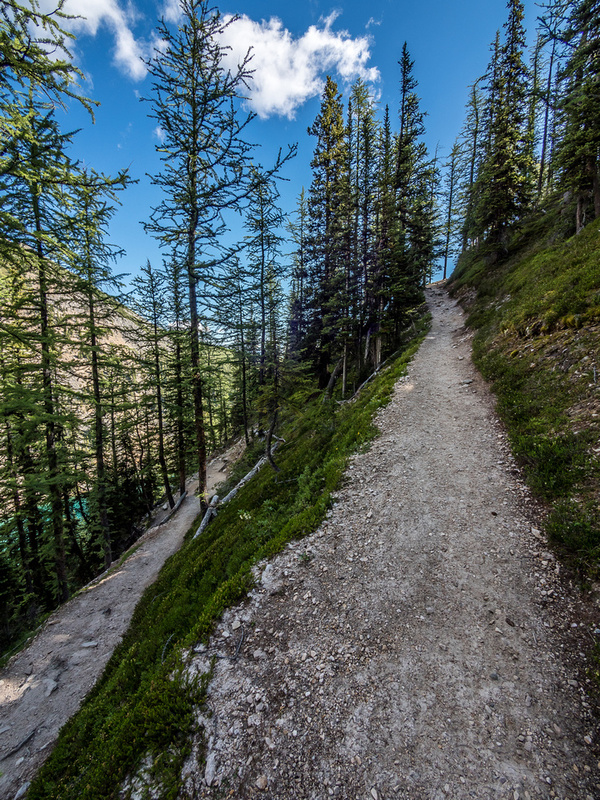 The steep trail to the col has many switchbacks. The crux from the bottom. Looking down the crux - could be problematic for those afraid of heights or small children / dogs. 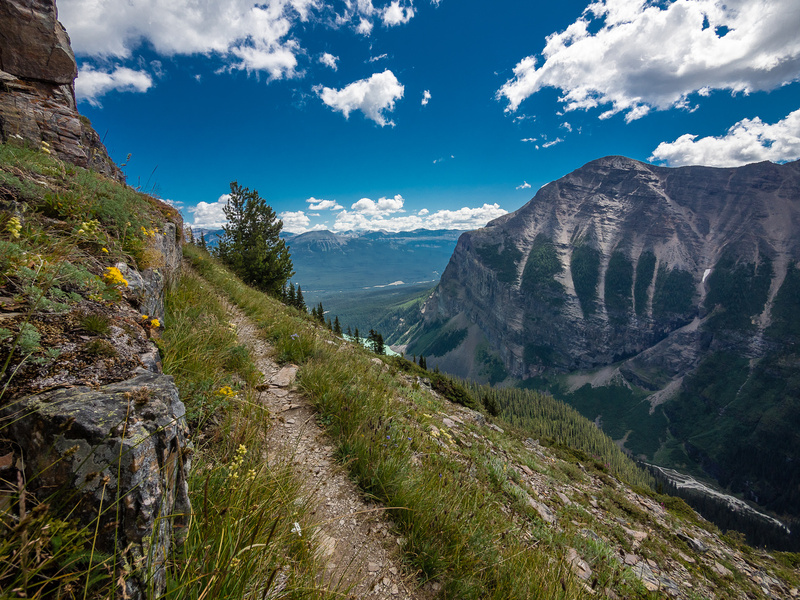 Views are opening up behind me including Beehive, Lake Louise and Fairview (L to R). 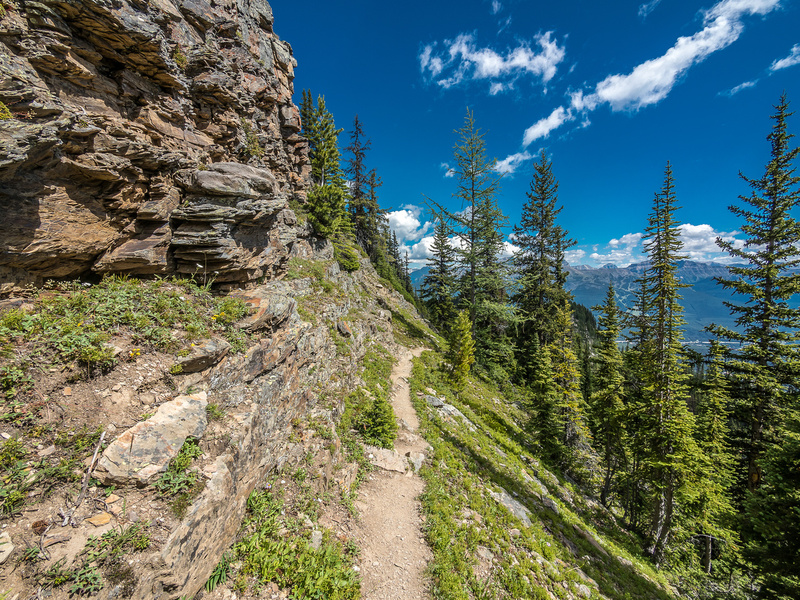 It's the views in front of me that are really impressive on this part of the hike! Aberdeen, The Mitre, Lefroy and Victoria (L to R) visible here. The steep hard packed slopes to the col are not very fun. I recommend crossing this slope further left and going up the slope where there's more vegetation and less mud / clay. From the col, looking up to the summit. Low cliff bands can either be ascended directly or avoided on climber's right. 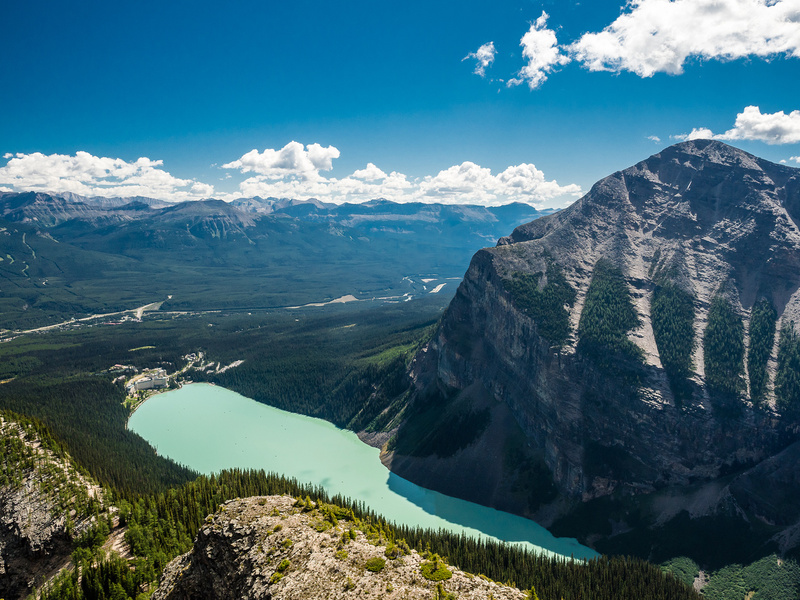 Sublime views as I crest the summit (L) include Lake Louise, Fairview, Temple, Haddo, Aberdeen, The Mitre, Lefroy, Victoria and Mount Whyte (L to R). mpressive views towards Whyte (L) and Niblock (R) including the scramble route up to the col between them. Impressive views over Sheol towards Temple (L) with Haddo (C) and Aberdeen (R) also visible. 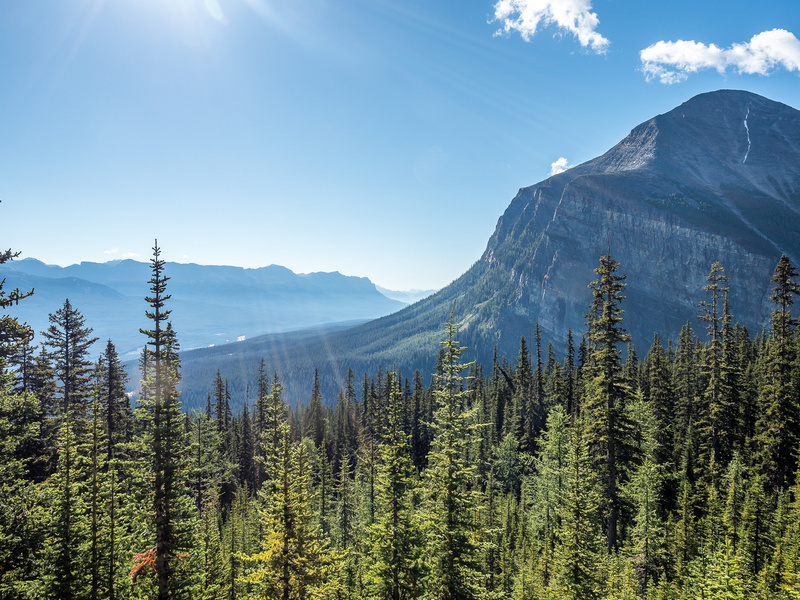 More stunning views towards the Plain of Six Glaciers. 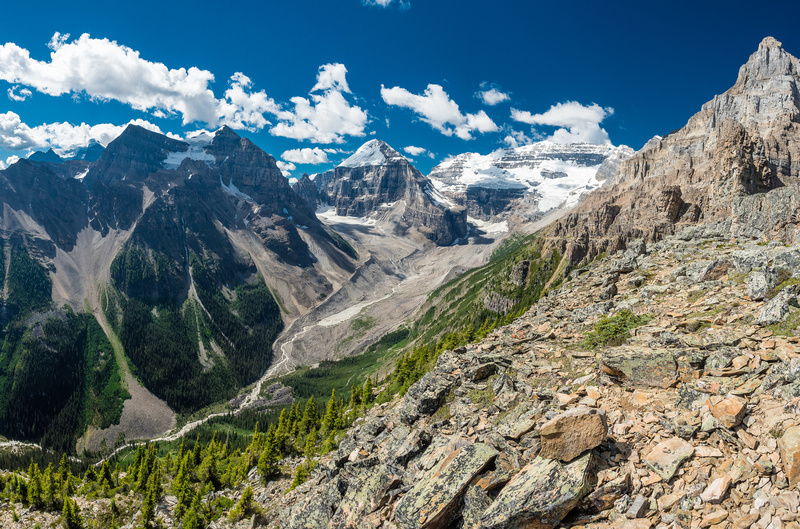 St. Piran, Little Beehive, Lake Agnes, Big Beehive, Lake Louise and Mount Fairview from just under the summit of Devil's Thumb. 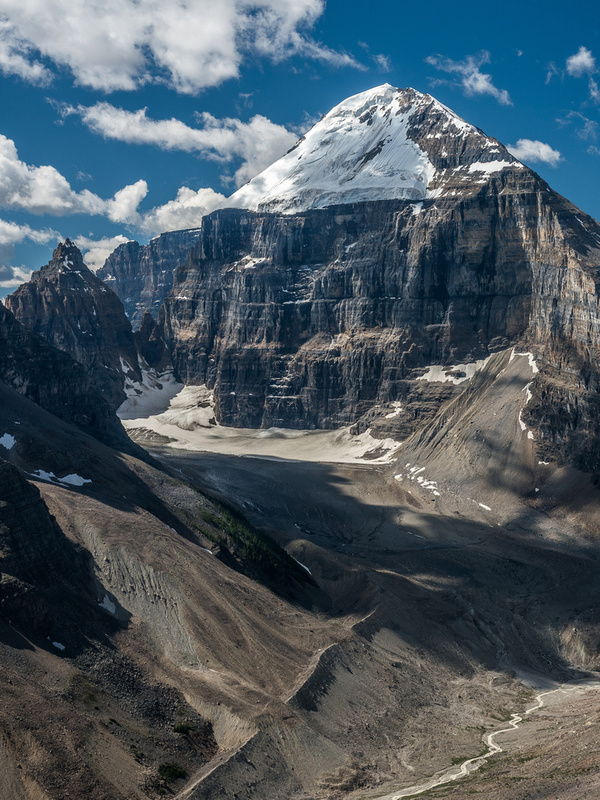 The incredible east face of Mount Victoria including the main summit at center and the north summit at far right. 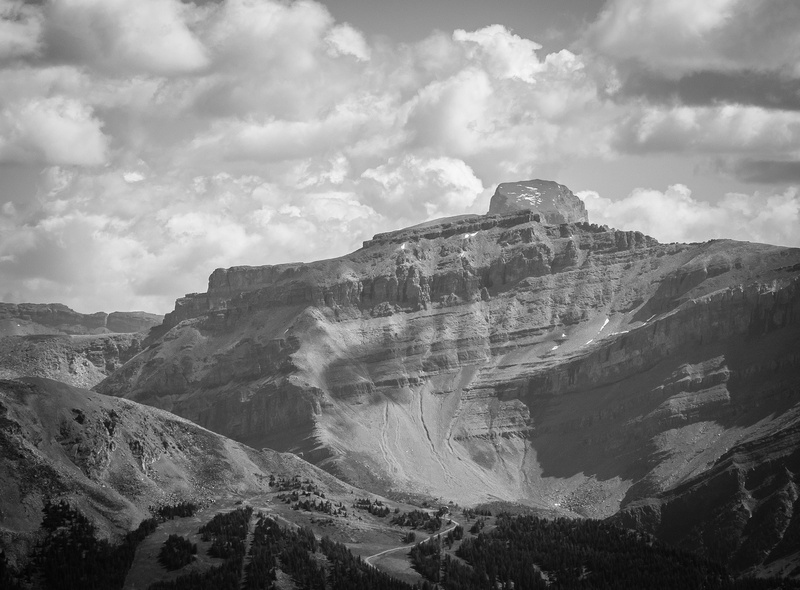 I can't wait to climb this beauty - Mount Lefroy. I've been waiting patiently for many years for the right combination of conditions and timing. A great view of Lefroy (L) and Victoria (R) with the death trap running up between them and the Fuhrmann Ledges route to the Abbot Hut at center. The Mitre is another alpine climb between Aberdeen and Lefroy. A closer view of the Fuhrmann Ledges. Redoubt Peak with St. Bride rising over it in the distance. 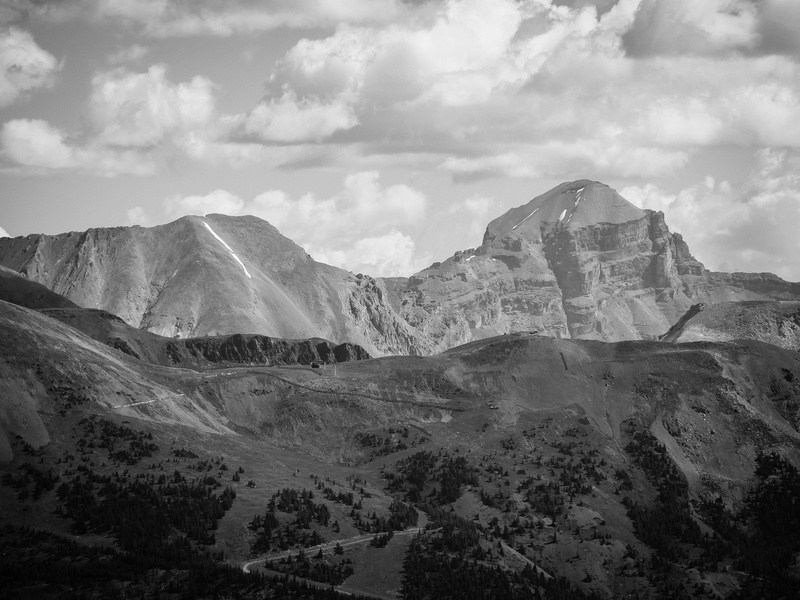 Fossil Peak at left with Douglas rising at right over the shoulder of Ptarmigan. Great view towards the col with Mount Whyte from descent. Another 'thumb' at the col looms over the descent trail impressively. 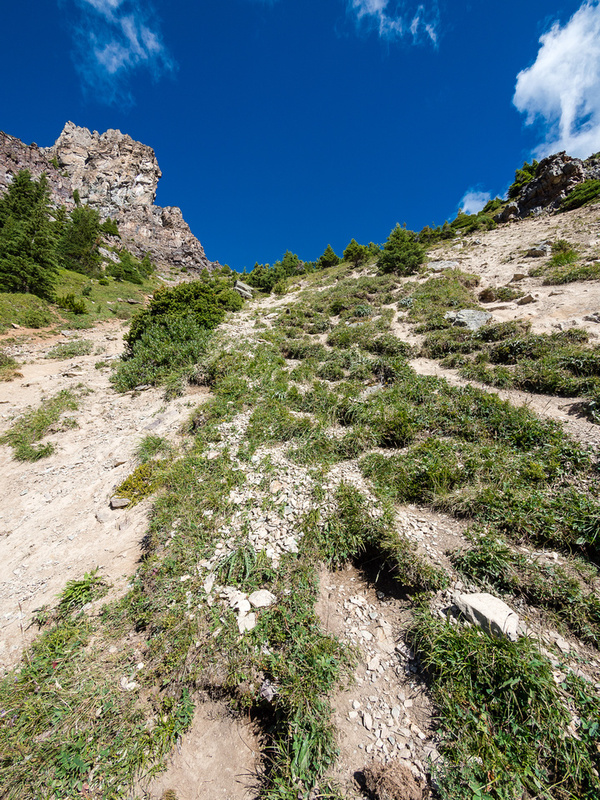 This view from climber's left of the steep ascent slope to the col shows the angle of the slope with the final slopes of Devil's Thumb at upper right. Back on the great highline traverse to the Beehive col. The scenic high traverse is dotted with many flowers. 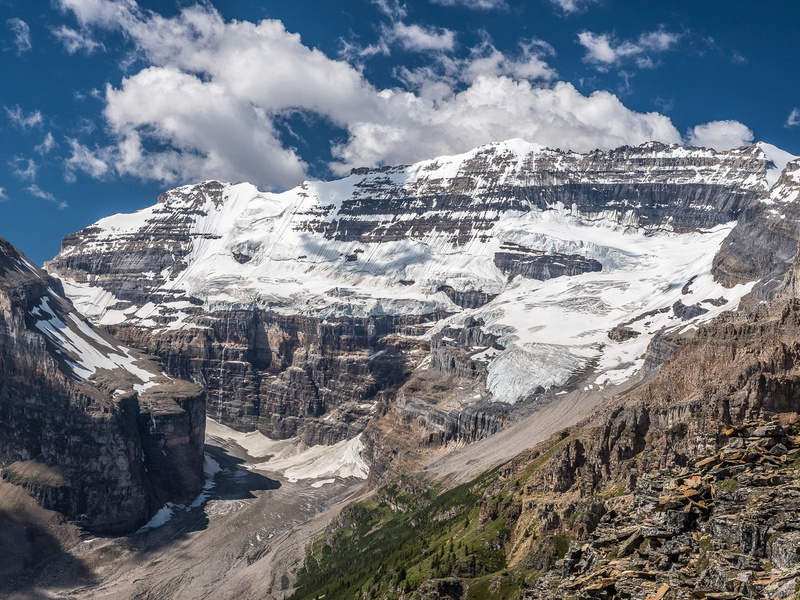 Looking back towards the Plain of Six Glaciers from the traverse. 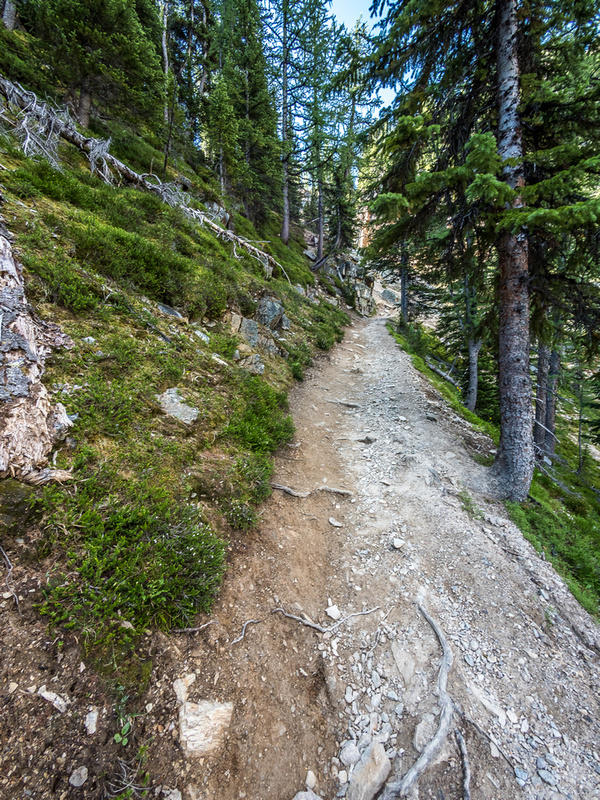 The traverse trail is very obvious. 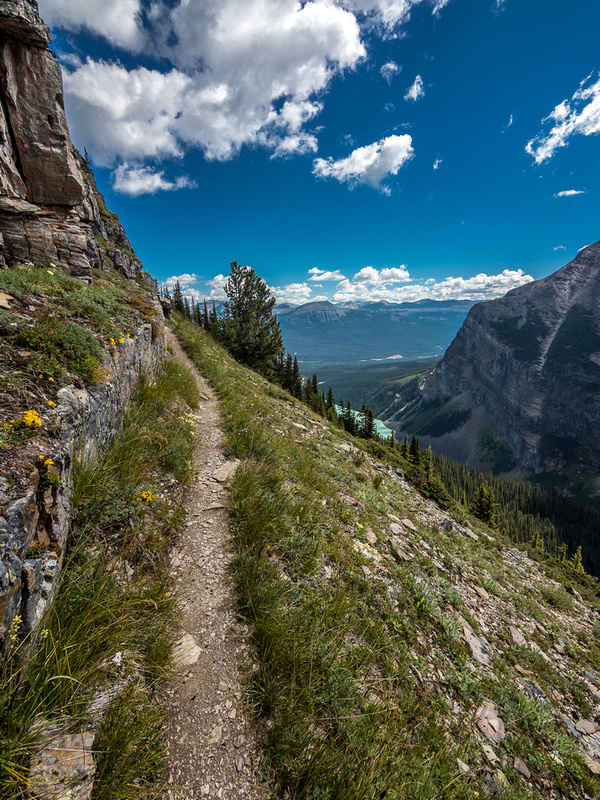 Off the Devil's Thumb and down to the trail leading to Mirror Lake on the Lake Louise side. 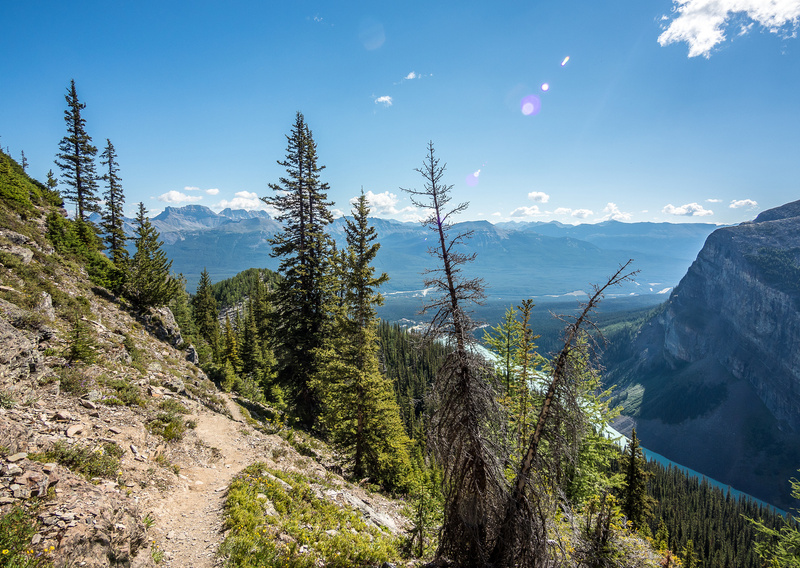 The traverse back to Mirror Lake has some pretty decent views over Lake Louise. Mirror Lake - trust me, it was a LOT busier here than the photo implies! One last view of this lovely (but very busy) area before I try to beat the long weekend traffic back to YYC.